There are few things more frustrating than a chainsaw that won’t cut. Even the best quality chains inevitably become blunted by prolonged use. Though the effect of your saw’s chain becoming duller might not be noticeable at first, as this process continues, you will find it harder and harder to make the cuts you want. The obvious solution to this is to buy yourself a good quality chainsaw sharpener that will allow you to keep your blade at the very peak of its cutting power. As with any product in this day and age, there are lots of good designs out there, though these differ quite considerably. Since tools are designed to make our lives easier, it is important to always have the right ones in your tool bag for when and where you might need them. There is a surprising amount of variation in chainsaw sharpener design. Some are designed to be used portable and used anywhere, while others are designed to make the job easier, but are not really portable. So to help you find the right one for your needs, we have put together a list of all the things you need to know when buying one, including a list of our top choice chainsaw sharpeners of 2017. Why do I need a chainsaw sharpener? Lots of people make the mistake of heading down to their local hardware store and buying the first chainsaw sharpener that they see. Since some chainsaw sharpeners work with certain types of saws better than with others, buying the first one you see can turn out to be a big mistake. If nothing more, this fact should certainly be enough to make you consider which model is best for a few moments longer. The first part of this process begins with making sure that you have the right chainsaw for the jobs you use it on. 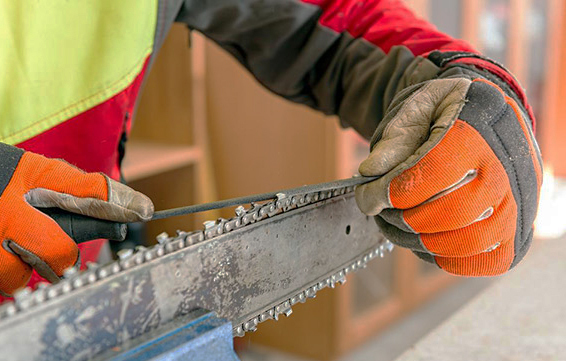 A chainsaw with a long blade and chain, for example, will wear out slower than one with a shorter chain, purely because of how much extra work a shorter saw has to do to cut the same amount of wood. The most important things you need to think about when buying a chainsaw are what kind of cutting you intend to do, and how much do you intend to use it. A great tip on choosing the right size is to buy a chainsaw with a blade that is about 30% longer than the thickest cut you intend to make. You should have a good idea of how thick the trees you will be cutting are, so if for example, you are cutting a tree with a 20-inch diameter, you should buy a chainsaw with a blade of 30 inches or more. 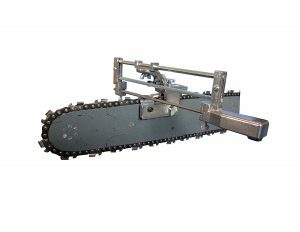 Not only will having the right sized chainsaw help to prevent rapid blunting of the saw, but it will also enable you to make cuts faster and with more control as well. Lining your chainsaw blade are rows of teeth or cutters, which when the saw is in use, run down the saw blade and cut the wood. With each pass they slice out a small section of wood, which continues with each successive tooth. In order to facilitate this process, the blade has special ‘rakers’ which help to shift cut pieces of wood out of the way to allow access to the next layer of wood. When it comes to sharpening the blade, it is the cutters that require the most maintenance. Individually filing each of the cutters on a chainsaw blade is certainly a time-consuming exercise. For a 30-inch saw, you could expect to spend anywhere in the region of one to two hours to make sure that you get the job done right when using a simple file. Since few people would ever consider this to be fun, it is much better to use a specialized chainsaw sharpener that will do all the hard work for you. One type of chainsaw sharpener uses an electric motor to spin a grinding disk that individually sharpens each individual tooth. The whole mechanism is adjustable, so it can be used on a whole variety of chains. 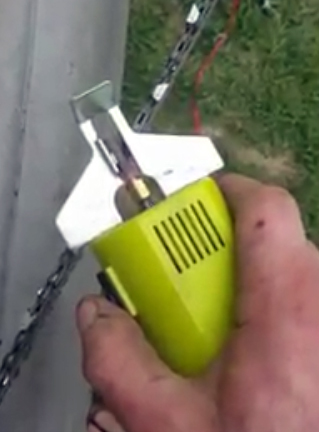 You will need to have a good idea of your chain’s optimum tooth angle before you set your chainsaw sharpener up, but once you have done so, the sharpener will do the rest for you. 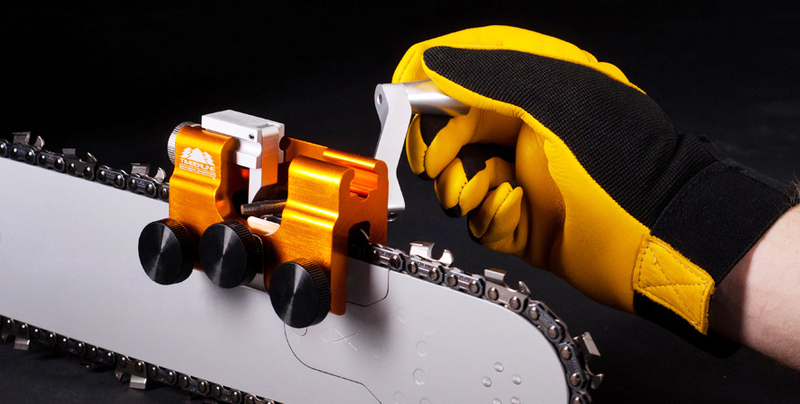 The other main type of chainsaw sharpener uses a special clamp unit to clip onto your chainsaw’s guide bar, after which it sharpens the teeth as you manually feed the blade through. It requires human power to draw the blade through and to operate the tooth sharpening mechanism also. This process is certainly more time consuming and much harder work than with the electric motor models, but is certainly still a lot better than using the old hand files. The other benefit of this kind of sharpener is that they are less expensive and more portable that their motor driven counterparts. Maintain your chainsaw well and you won’t need to sharpen your blade as often, this is the golden rule. Before you begin any cutting, you should check the saw blade to make sure that it rotates properly and is free of any severe rust patches. Then you should generously apply a good quality chain oil to help minimize the amount of damage from wear. To do this, apply the oil to the top part of the blade and gently rotate the blade as you go. This is the best way to ensure that no part of the blade is missed and to make sure that the oil seeps down onto all parts of the blade. At this time, you should also check the tension of the chain on your saw. Due to the stresses and strains that they are placed under, chains lose their tension over time and so need to be tightened regularly. A loose chain will increase the rate at which the chain degrades and also increase the chance of it jamming, something that could cause a lot of damage. Taking good care of your engine is also very important. Be sure that in the case that your chainsaw is gas powered, to make sure you are using the correct gas to oil mixture. If you run the engine too lean (not enough oil in the mix), then you run the risk of wearing your engine out much quicker than would otherwise be expected. Your chainsaw’s instruction manual will tell you the exact ratios it requires, but the general rule is five ounces of motor oil per one gallon of fuel. A nice and sharp chain will reduce the chance of any accidents or kickbacks. It will also increase the life of your chainsaw engine by reducing the higher revs that are required in order to cut with a blunt blade. To make sure you keep your blade as sharp as it can be, you only need to buy a good quality blade sharpener and you will never have to worry about having a blunt saw ever again. 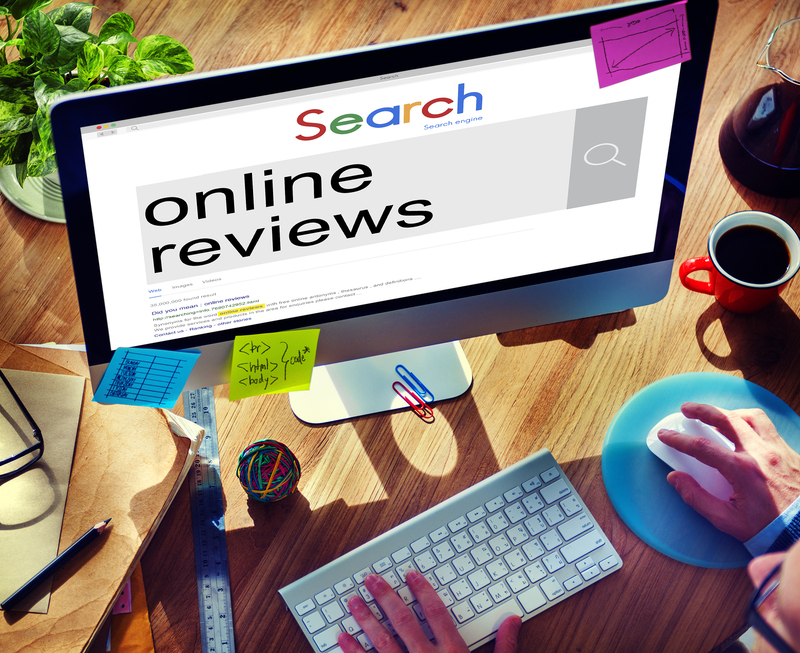 When it comes to a good recommendation, there is nothing better than getting top marks with customer feedback and at the same time, being a best seller in your class. 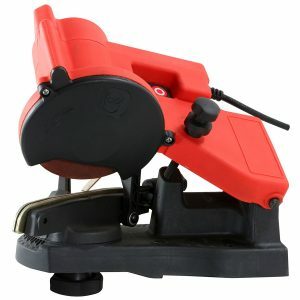 This superb electric chainsaw sharpener runs off a powerful 85-watt motor and produces a decent 4200 RPM, meaning that it has some seriously efficient sharpening power. Though small, this unit requires a mains power supply, or at least a good generator, to give it all the juice it requires. 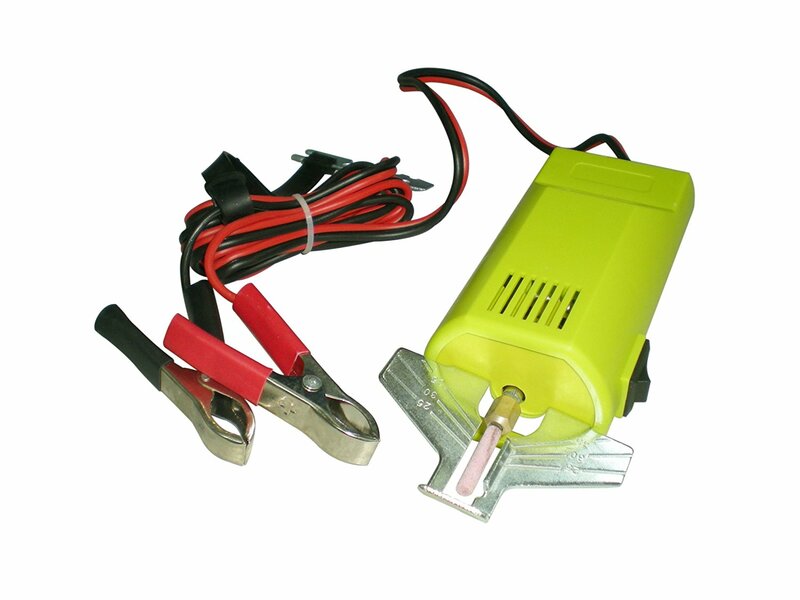 This means that this unit is not really portable in the same sense of the non-electric sharpeners, but provided there is a battery on hand, it can be used anywhere. The build quality of this sharpener really stands out from the moment that you get it into your hands. It is made from really good materials using high manufacturing standards. You can easily expect this model to last as long as you are still using a chainsaw, provided you make sure to take good care of it. This design mounts to a workbench, via a clamp, which holds it in place tightly as you use it. Plenty of nasty accidents have been caused in the past by chainsaw sharpeners slipping and catching fingers, so this safety feature is a vital. The good news is that this electric sharpener is fully adjustable, so it can be used with most popular chainsaw designs. 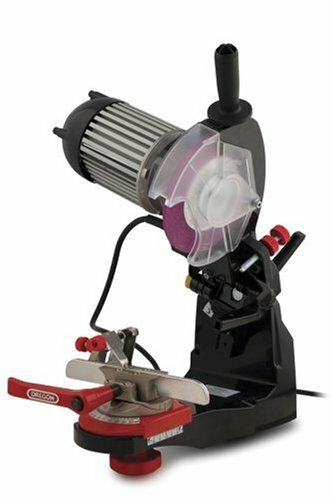 It uses a 4-1/4 inch x 1/8 grinding wheel with a 7/8-inch arbor that offers a lot of torque and precision sharpening. 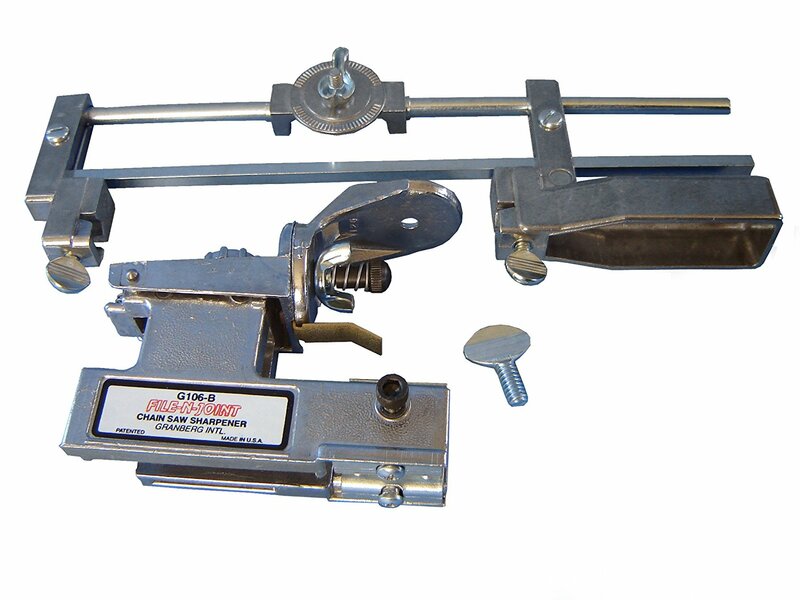 Without question, the Buffalo Tools ECSS Electric Sharpener comes in at the top of its class. It is everything you could possibly need in one lightweight unit. The only drawback is that it requires mains power so is not suitable for work in remote areas. Aside from that, it is an excellent value tool that is amazing value for the money. For situations when an electric motor design is not suitable, you will need a well-designed sharpener that makes the job as easy as possible. This excellent design is one such model. To operate it, you only need to clamp it to the saw, with its screw-in fasteners, and then gently turn the wind handle letting the sharpener do the rest. Without a doubt, this is the most painless manual design we looked at. It does such a great job that it effortlessly sharpens each tooth in only a matter of seconds. 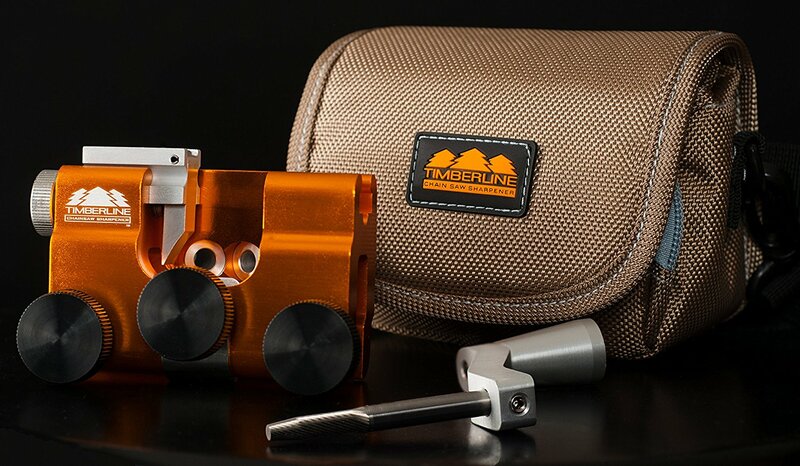 It requires a minimum amount of setting up and is made from machined aluminum that is made to last. It comes with a really handy carry case, which not only makes it far easier to carry around, but protects it from any knocks that might cause damage. The manual has clear instructions on what settings to use on each type of chainsaw blade, so there is no chance of you damaging your expensive equipment through any mistakes. Quite honestly, other than its high price, it really is hard to find fault with this design. It is lightweight, efficient, easy to use, and really does get those blades as sharp as you can hope for. 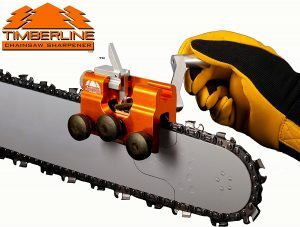 In fact, when comparing the Timberline Chainsaw Sharpener to some of the better electric designs, it really is hard to see a difference in the results. This model is really designed for full-time lumberjacks or tree cutting specialists. As a result, it is not cheap. It is one of the more expensive electronic sharpeners on the market, something which is not surprising when you consider that it is made from all the best materials, so it is sure not to ever let you down. It has a single phase 115v motor, which puts out an impressive 0.38 horsepower that is transferred to the blade via a direct drive mechanism. The whole design offers the highest level of precision of any of the sharpeners on this list, results that few other electric driven designs can match. It has an amazing level of adjustability, thanks to all the various joints that can be moved, and the tiny amounts you can alter them by. This sharpener also has precise measurement indicators to allow you to line everything up perfectly. 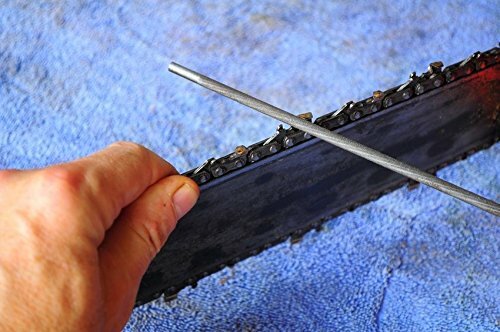 This will ensure that you can keep your saw chain in pristine condition without any risk of damage. Another huge plus is that this unit can be used independently as a grinder too. For all those professionals who use a range of cutting tools, this is a really great 2 in 1 feature that will save the need to buy 2 separate pieces of equipment. It is a pity that this model isn’t affordable enough for people who are not going to get the use out of it to justify the price, but in the end if you want the best, you need to pay for it. If, however, you are someone who feels they do enough work to justify the money, then without question this is the heavy duty sharpener for you. When it comes to a really decent portable electric sharpener, the options are few and far between. The main issue is that these units need quite a lot of power in order to sharpen a complete chainsaw blade, so they frequently aren’t up to the task. You can’t expect the Timber Tuff CS-12V to get anywhere near the same results as the Oregon 511AX, but it certainly will do the job. It has a 12v high-speed motor that uses high RPM, rather than torque, to do the sharpening. But here is the clever part; the unit comes with jumper style leads that can connect to any 12v battery around. This means that you can connect this sharpener to any car or vehicle you can find. Since lots of remote cabins also have a battery for lights, this makes the number of places where you can easily use this is quite high. The Granberg G-106B comes highly recommended by many critics. It is another non-motorized unit that is capable of sharpening any chain you put into it. You can be sure that since it is made in the U.S., it is well designed and made from all the best materials. These include aluminum and zinc-plated steel, which are not only strong but also provide a good level of rust resistance. This design is really easy to use. It is without question the most straightforward of any of the designs we have featured on this list. You only need to screw up the clamps and just then start sharpening. The saw action required to sharpen is definitely a lot easier than the Timberline Chainsaw Sharpener, which instead has a rotating action. For this reason, if you are looking for a non-electric sharpener to use to do a fair bit of work in one go, then this is probably the better option. For anyone working outdoors, a real key to making their life that little bit easier is to reduce the number of tools they need to carry around with them. This also goes for those people who don’t want to end up with their garage full to the brim of tools. This really handy file kit is small enough to fit comfortably in your pocket but still is capable enough to get the job done. It comes in a handy roll-up pouch that contains 5/32, 3/16, & 7/32 inch files. These files slip into the handy wood handle and are then ready to go. Though filing by hand can take a lot of time and effort, it still gets the job done and in certain ways can decrease the chance of you accidently overfilling the chain, should your larger sharpener be set to the wrong settings, for example. 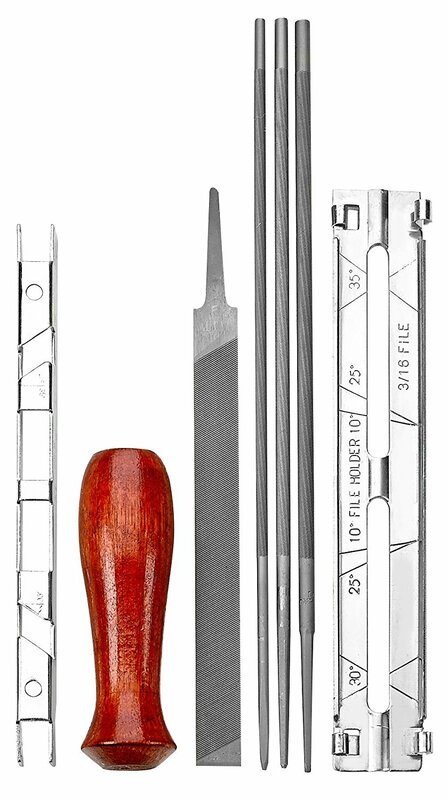 To help you, this kit comes with a depth gauge that allows for tiny measurements to be made with minimal hassle. With a little more time and effort, this great file set will do what you need it to do. 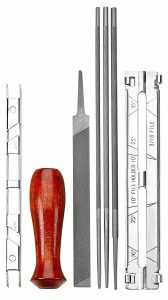 Set Includes – (1) 3/8” Hardwood stain & finish handle – (1) 6” Flat fine tooth file – (1) Filing Guide – (1) Tool Pouch – (1) Depth-gauge tool – and three (3) round fine tooth files in the following sizes: 5/32”, 3/16”, and 7/32”. If you are in need of a good quality chainsaw sharpener, you can see that there are certainly lots of great designs to choose from. As with all other tools, we always recommend doing your homework before you buy one as you may well end up getting one that doesn’t do the job very well. It is always good advice to spend a few moments to sit down and decide exactly what you need it to do, along with considering how much you plan to use it. Price is always a factor, so after you know what you want, you should see what is available and within your budget. Don’t buy the cheapest one just to try to save money, as you might well find yourself paying more in the long run, because as the old saying goes, “I’m not rich enough to buy cheap clothes”. Alternatively, don’t buy the most expensive product just because you are worried about how long it will last or what others can do. Instead, search for the best products that fit your requirements and then start to factor in the price to see what the best one really is. Trust us, this will end up saving you not just money, but lots of hard work in the long run.